Hey everyone, here is the review of the game For Honor. For Honor is Ubisoft Montreal’s latest game. It is a medieval fighting game. 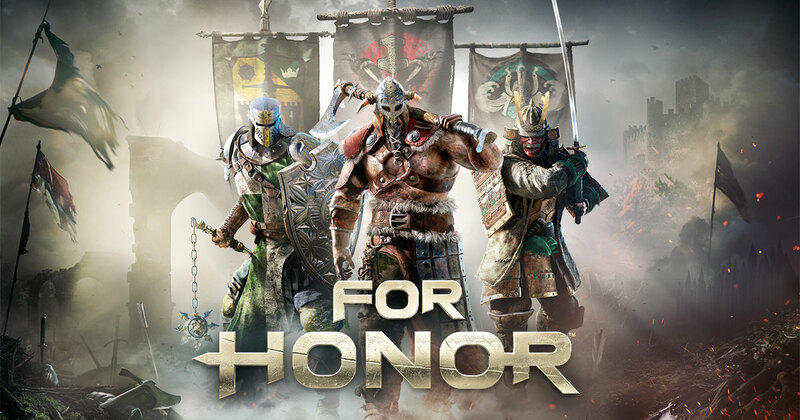 It allows it players to play as samurai’s, knight’s and viking’s. This game is released for PlayStation 4, Microsoft Windows and Xbox One. So now the story is that a warlord Apollyon takes control of the knights of the Blackstone Legion by killing her rivals, who protect the people of Ashfeld. To be honest I think that this game is not so good. I think that it lacks in the elements of a good game. It is created by one of the greatest gaming companies, which has given us some awesome games such as Watchdogs series, Assassins Creed series, Far cry series and the Splinter Cell series, just to name a few. But I think that in this game Ubisoft lacked the inspiration. Now there are stances and ways to guard yourself, to attack in this game, which takes quite a while to learn. Like there are light attacks which do not deal much damage, but these are fast and then there are the heavy attacks which are slow but are effective and cause a lot of damage to the opponent. Every game uses the same strategy. The graphics are good. This game is a third-person melee title which requires the player to think patiently and come up with a good strategy to kill the opponents and survive. You cannot be too hasty in this game, because I guarantee that if you be like that, you will die. The multiplayer experience is great, no doubt about that. But the single player campaign is too short, that is what I have felt. So overall this is an average game. Its a good way to pass the time if you are feeling bored. Thank you for reading this post. Do tell me your opinions about this game in the comments section below and also do share this post on social media. I would love to hear from you people. Thank you once again. Welcome. This is a place where you can read stories, book reviews, game reviews and much more.